I’m not an artist. Or a graphic designer. I can, however, find what I need to get the job done. In order to do write the next post on placing a watermark in a video I first need a logo. I could make one in a photo illustration program but I seriously don’t have time. Or the talent. This will work for some people. Those of use in a frugal state of mind need alternatives. These are a few of them that I found that could be useful. You need a graphic file that contains a transparent background. Not white; transparent. The PNG file format is supported by a wide range of photo illustration software and video editing programs. Make sure that whatever you decide to use allows you to specifically set the transparency level and save the file in the .png format. Yes, GIF files can be transparent. Limited to 256 colors, I believe. If you insist, you can use a .gif image. Your video editing program may or may not accept it. Yes, there is a variant of JPEG that can be made transparent. I haven’t a clue as to what that could be (JPEG 2000 but not sure) but why waste time? Use PNG! As always, make sure your computer has protection to the max to make sure that you don’t download any nasty maleware along the way. 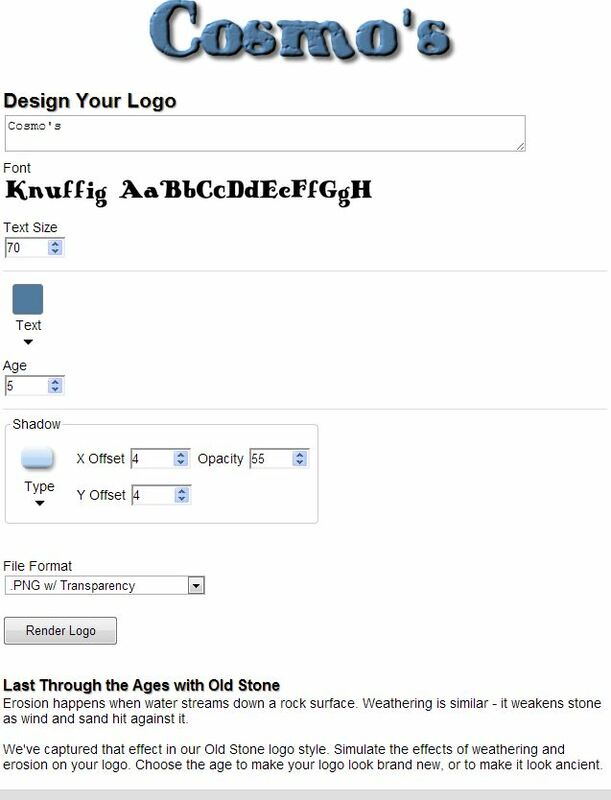 CoolText is a free web service that allows you to select a style, type in your text and within seconds you have a jazzed up text logo. Or a cheesy one; depending on how you feel about free logos. CoolText has a number of file types that you can down load including the Adobe .psd if you want to do more work with the logo inside of the Photoshop program. Probably works with Photoshop Essentials and other imaging software as well. For those of you that want more there is a symbol and text generator version that allows you to select a graphic to appear with your text. I really like the Terms of Service – you can use the logo however you want. Xara3D is an inexpensive software that can add a texture, surface or light to a bit of text and then render it out as a .png file. There is more. You can import Windows Meta File(.wmf) images and apply 3D type styling. 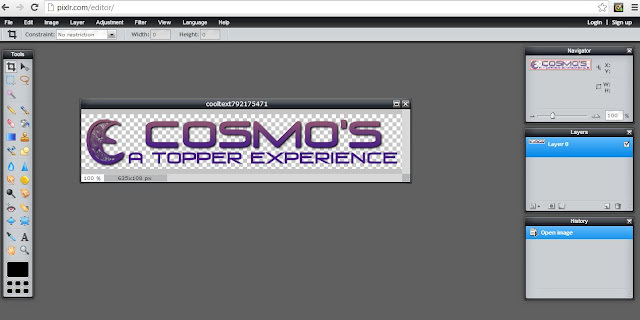 It also can animate that new custom logo you just created. You can use it to create titles, web introductions or object animations. I have to say for under $40 you get a lot of kit. It is not by any means a motion graphics program. It is a way to create a more personalized logo in the .png format. Before you peel off a couple of Jacksons or Hamiltons think about how often you might use this program. If you can incorporated into you normal production or it fills an on-going need then, yes it can be worth it. If you can draw, design or conceive of an idea and rendered but can’t afford anything other much more than the rent you have to look at Pixlr. There is the Pixlr-o-Matic entry level guided mode, The Express mode will allow you a bit more control but offer up goodies to speed you along. The Advanced more is a virtual photo illustration program. You probably want the Express or Advanced modes in order to export out to .png. Let’s say you have clip art that you want to customize. Perhaps change the color, add a glow or distress it a bit. Pixlr can help you do that and then export to, you guessed it, a .png format. This is a free web service owned by the company Autodesk. Yes, that Autodesk, the technical CAD, science, engineering company. It appears Autodesk wants a stronger presence in the graphics and video industry production area. Whatever the reason, make time to play a bit at this site. Otherwise, go forth and create.